For such a short story, this packs a good punch. It has an intriguing mystery, a possible romance, and starts with a perfect nightmare kind of a work day. Tessa spends the day in a lightbulb costume, and the evening avoiding someone who is trying to attack her. Her hero turns out to be a cop who was in the right place at the right time – as it turns out not just because of the baddie, but because he may just be her future! Edie Hart was born in the Northwest suburbs of Chicago, where she now resides with her husband, two children, dog, and three cats. Edie is a die-hard romantic and believes that everyone deserves to be loved unconditionally—both in print and real life. To learn more about her, and find out what her children are up to, visit her via her website, Facebook, or Twitter. 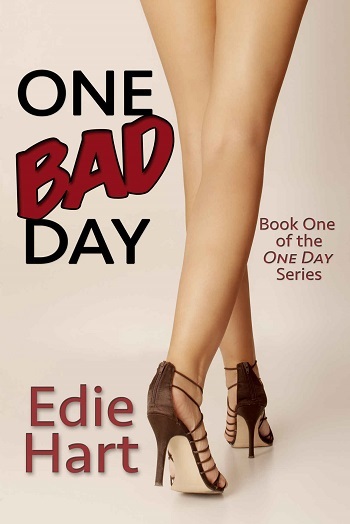 Reviewers on the Wicked Reads Review Team were provided a free copy of One Bad Day (One Day #1) by Edie Hart to read and review.